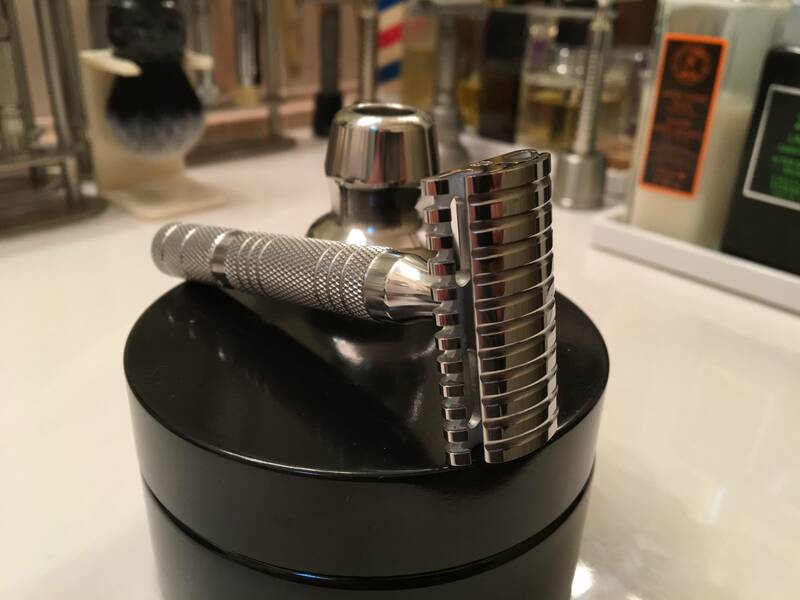 The Timeless razor is exceptional in every way. Built, shave and looks — pure class. I have three of them, two SBs and this OC, all with the 0.95 blade gap. The OC, however, is a wee bit too aggressive for me. I think I have used it fewer than 10 times, I'd say, so the is in superb shape. The handle is the 12mm X 85mm knurled handle. 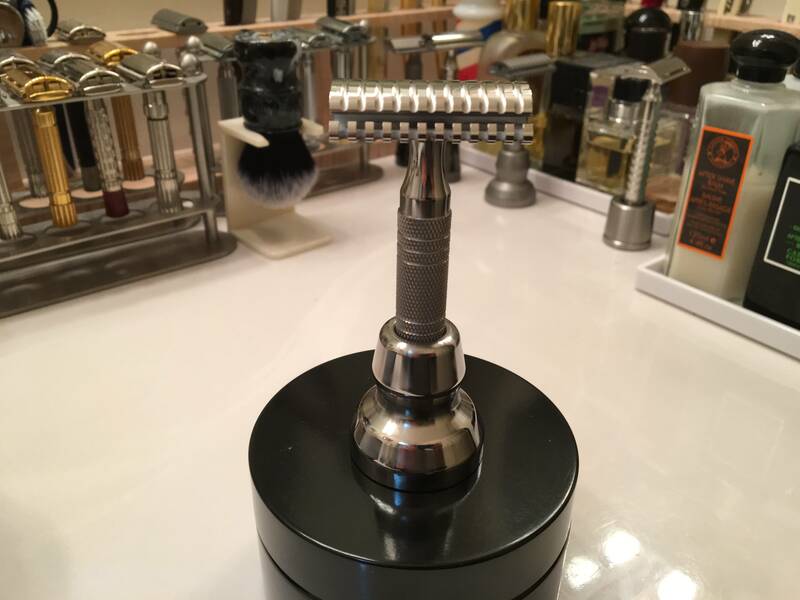 New, the razor, stand and shipping cost $268.65. Your price shipped U.S. is $225.00. Paypal is fine. No trades, please. Thanks.